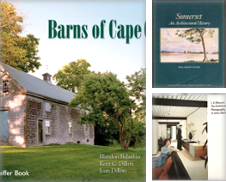 Allison Robinson Books - AbeBooks - DUXBURY, MA, U.S.A.
Allison Robinson Books is an online seller of rare medical texts and papers. We also specialise in art, architecture, and ornithology books. We have some eclectic choices for variety. Keep looking at our site, Allison Robinson books at abebooks.com. Books are added frequently. One thousand rare medical books waiting to be put on line. Some leather bound limited edition reprints in gift condition. Look beyond our medical catalogs at the whole site. Many first edition bird books from around the world, a variety which is extensive and fun. Beautiful illustrations - some handpainted.